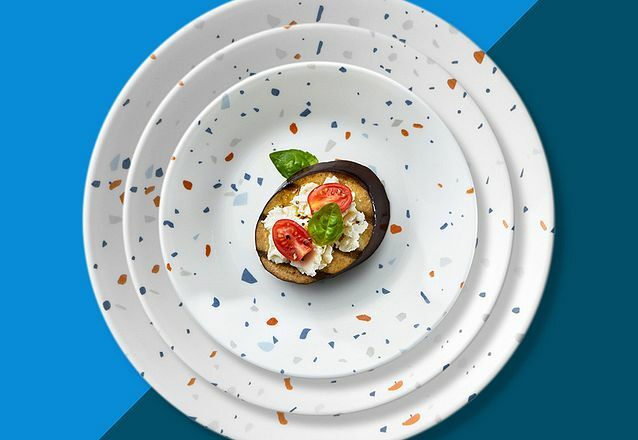 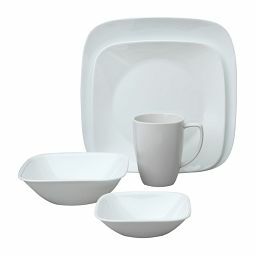 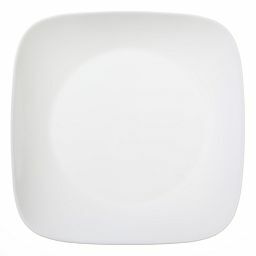 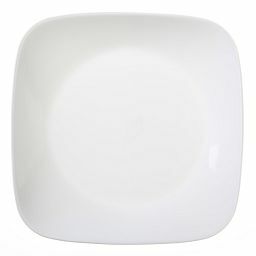 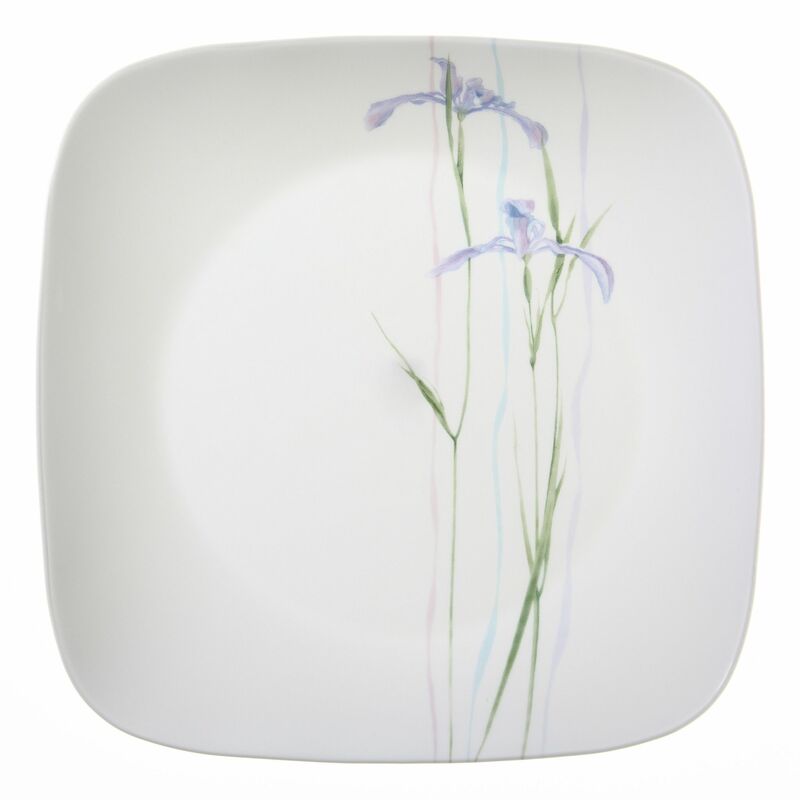 Irises and watercolor shadows accent this square dinnerware set with misty color. 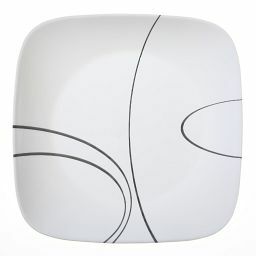 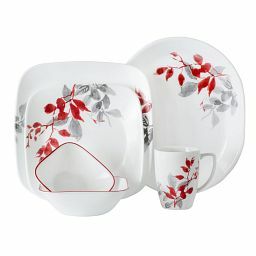 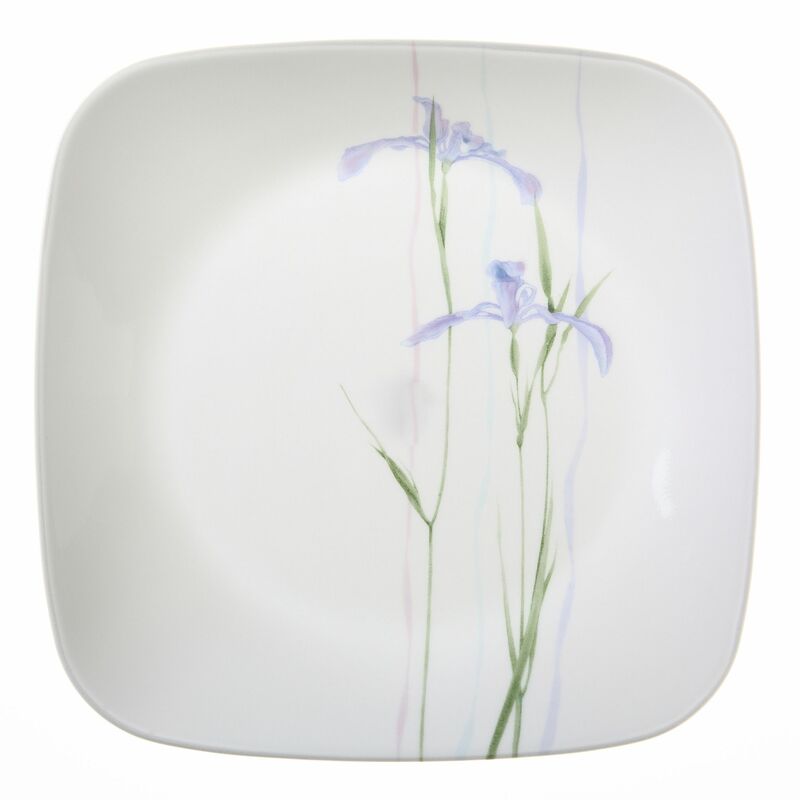 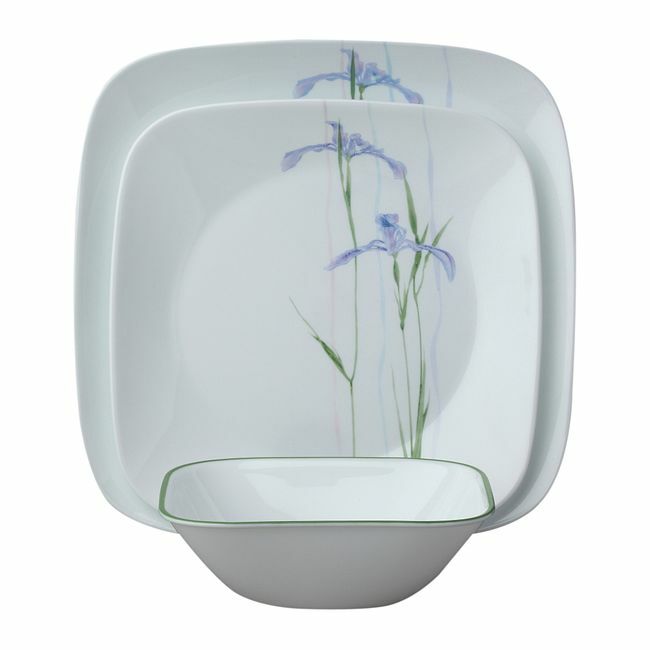 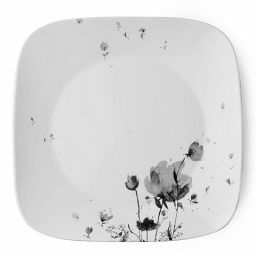 Purple irises, green leaves and wisps of watercolor make a painterly impression on this modern square dinnerware set. 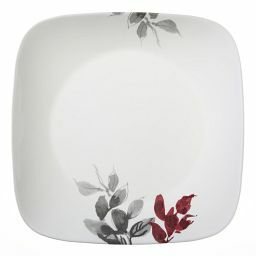 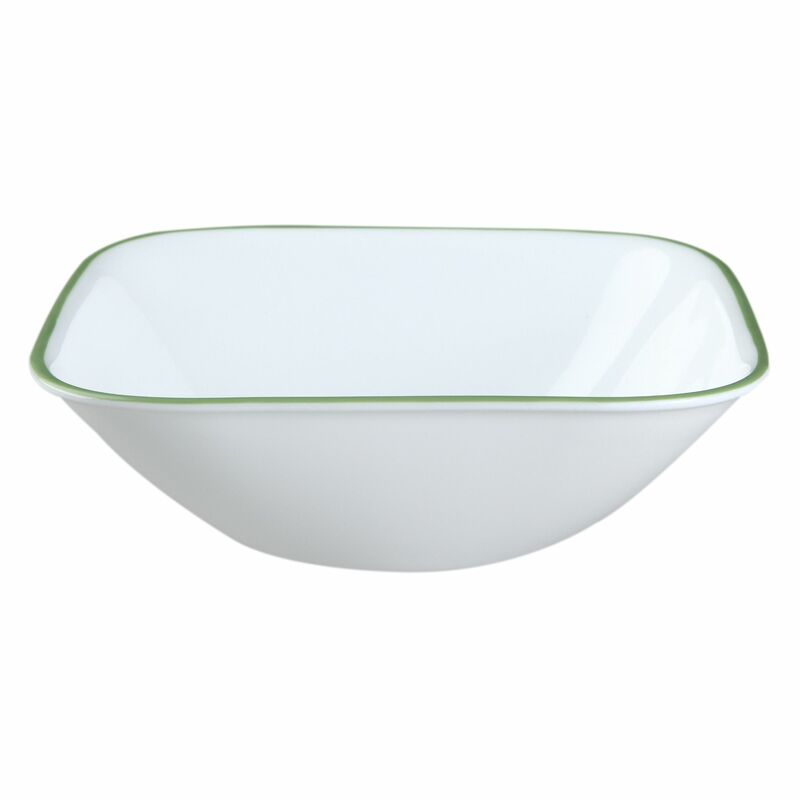 Each place setting combines salad and dinner plates with a coordinating bowl for a gracious look on the table.